« #OOH Love Happens Here! Triad Media Group, an LA based media company, has a simple, yet brilliant way to create amazing three-dimensional ads without the need to wear 3D glasses. Dalius Aurelius CEO of the company told us “After two years of trial and error, we are finally ready to bring this technology into the market. This innovation will give advertisers an extra dimension to convey their message in ways never seen before. After all we live in a 3-dimensional world and that’s how advertising should be”. 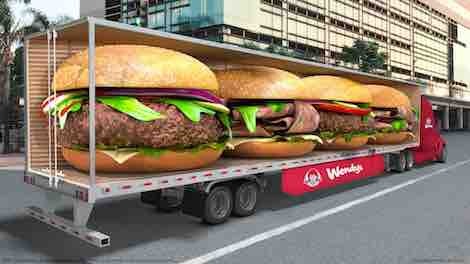 Here, they use the trailer’s three-dimensional space to create eye-catching, traffic-stopping, attention grabbing campaigns. 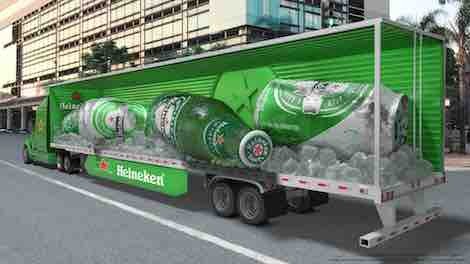 With millions of trailers traveling through congested roads, carrying a 3D ad seems to be a brilliant idea. According to US Highway Performance Monitoring System an average daily traffic on major US highways can reach up to 375,000 cars a day. There are 53% more cars on the road today than 20 years ago and this is increasing by 3% per year. By advertising on trailers they make your message mobile. Triad Media Group have over 700 trailers in their fleet and they can custom tailor a route to meet even the most challenging marketing goals. 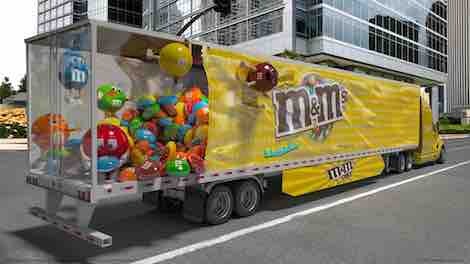 The ad space on a 53-foot trailer is equivalent to four standard billboards. To get you even more exposure Triad Media Group highly recommends advertising on all three sides of the trailer. This entry was posted on Thursday, June 22nd, 2017 at 15:37 @692 and is filed under Scuttlebut. You can follow any responses to this entry through the RSS 2.0 feed. You can leave a response, or trackback from your own site.